Fair Isle Bird Observatory: the Warden's diary: Purple (in the) Rain. 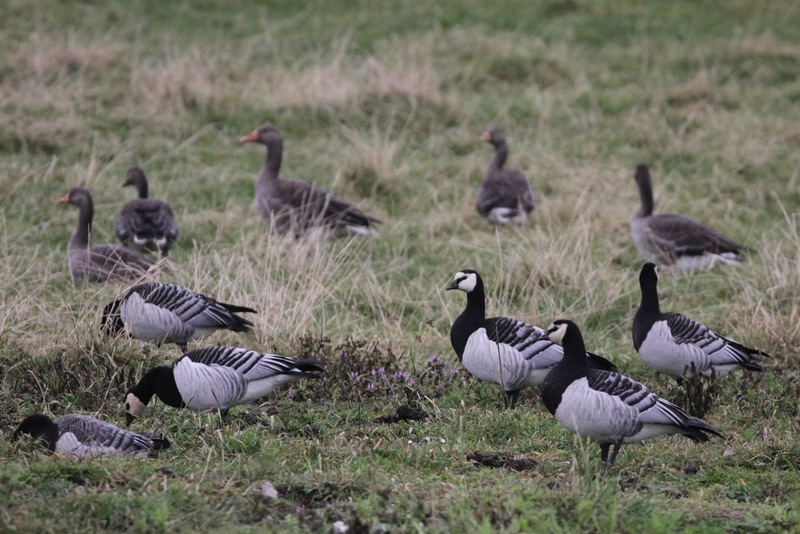 With the weather retaining an easterly theme, birds continued to arrive, although there was no deluge of Siberian rarities. The first rain for a few days on the morning of 16th did, however, bring a major local rarity when Richard spotted a juvenile Purple Heron circling near Hjukni geo. It was apparently considering landing, but was being pursued by gulls and, after heading west briefly (but presumably being put off by the very poor visibility, as the driving drizzle made conditions somewhat unpleasant), appeared to head for Steensi geo. Sadly it could not be relocated either in Steensi or elsewhere around the island during the rest of the day. It’s the fourth Fair Isle record (with the first three all occurring between 1965 and 1970), which seems a large number considering their rarity in the rest of Shetland (and indeed Scotland) and the fact that Fair Isle is generally shunned by the other rarer herons, with no egrets recorded at all on the island (there can’t be many sites in the UK yet to record an egret or Spoonbill?). 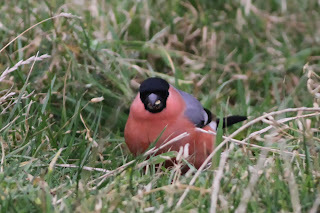 With the previous three birds all lingering for several days (admittedly all were in the spring), there’s still a hope it’s lurking out there somewhere. Generally there were very few other new migrants on the 16th, with a Pied Flycatcher probably the pick of the new stuff (although there were still plenty of good birds lingering). The 14th had seen the start of an increase in migrants, with a redpoll arrival bringing a Coue’s Arctic Redpoll that was seen briefly by just a couple of people during the morning whilst Mealys increased to 44 and at least 5 Lessers were also present. 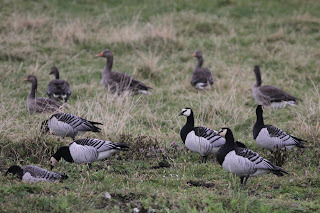 Reasonable numbers of wildfowl have remained, including up to 25 Barnacle Geese, along with peaks of 14 Goldeneye, 9 Long-tailed Ducks, 6 Red-breasted Mergansers and a Pintail (on 15th). ﻿﻿The 15th saw a surge in warbler numbers, with good counts of 61 Blackcap and 41 Chiffchaff (almost all distinctly pale eastern-type birds) and two Dusky Warblers. 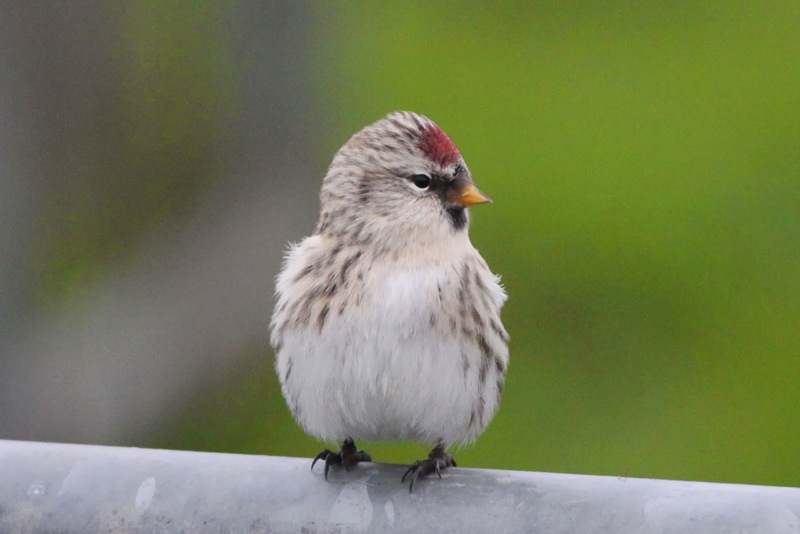 The first was found at Setter and roamed from there to Barkland, whilst the second was seen at the same time at Lower Leogh (and was still in the south of the island on 16th). 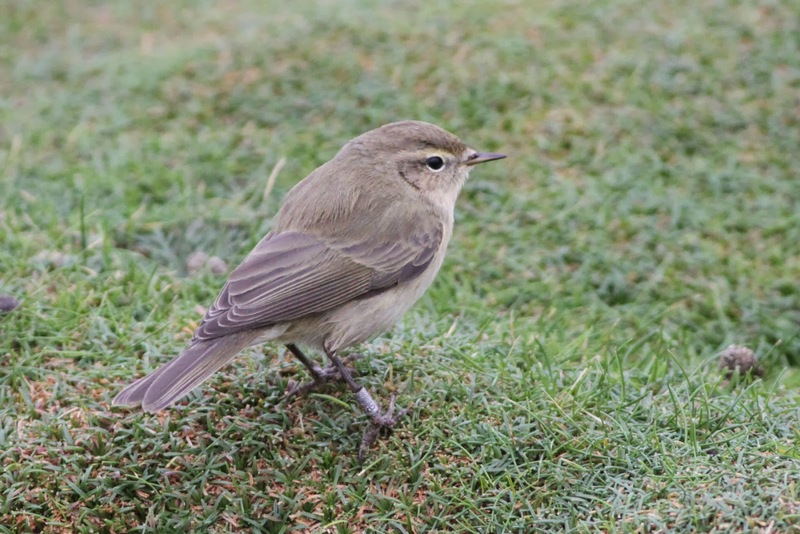 This is the first multiple arrival of the species on Fair Isle and 2013 is now the best year on record for the species (assuming the bird earlier in the week on the North cliffs is accepted as a third individual). The 15th also saw the arrival of 8 Woodcock, 24 Woodpigeon and a Garden Warbler. Very few collybita Chiffchaffs were seen amongst the migrants, with most birds resembling this browner abietinus/tristis type. 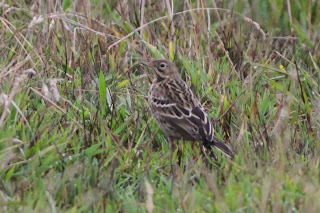 The lingering highlights included Red-throated Pipit, Richard’s Pipit, Dotterel, 2 Bullfinch (all 14th-16th), Blyth’s Reed Warbler (to 15th), 4 Yellow-browed Warblers (14th-15th with 1 on 16th), Great Spotted Woodpecker and peaks of 206 Snow Bunting and 8 Lapland Bunting. 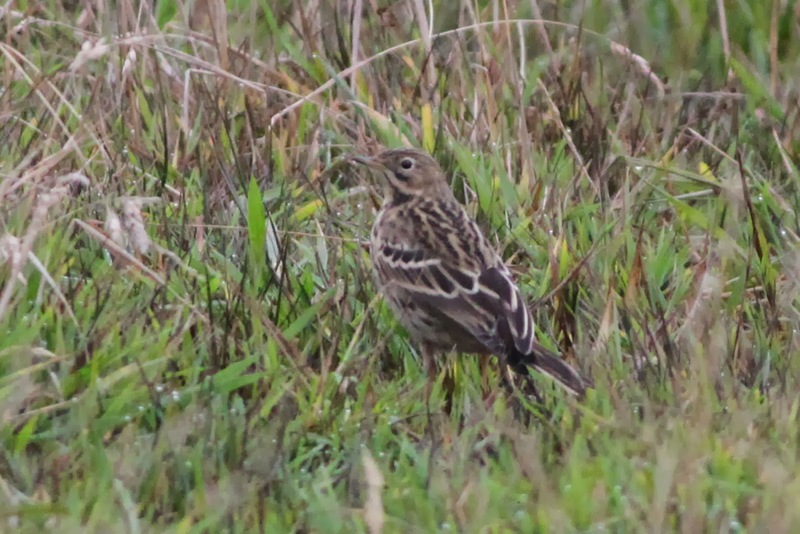 The Red-throated Pipit roamed from Haa to Utra but did show well at times. 'Who you looking at pal?'. 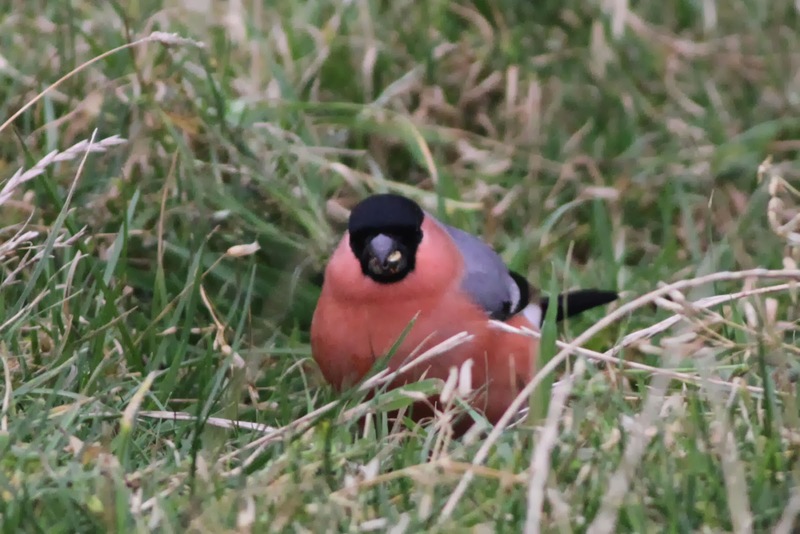 A beast of a 'Northern' Bullfinch at Houll. All the records during this period were thought to refer to a widely wandering pair, although more could perhaps be expected this week. 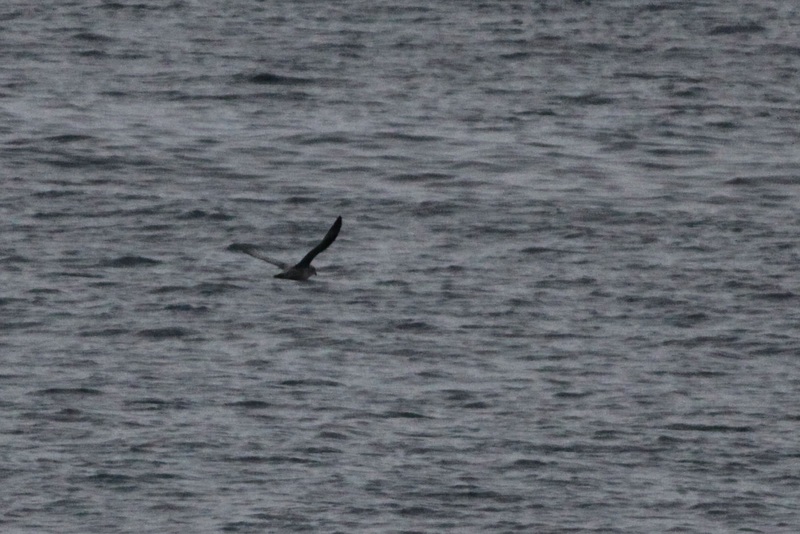 This blue Fulmar was off South Light on 15thm when an impressive 20+ were seen from the Good Shepherd. 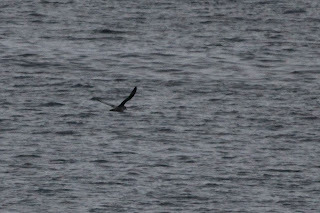 Other seabirds of note included a lingering Red-throated Diver and a Slavonian Grebe (16th).